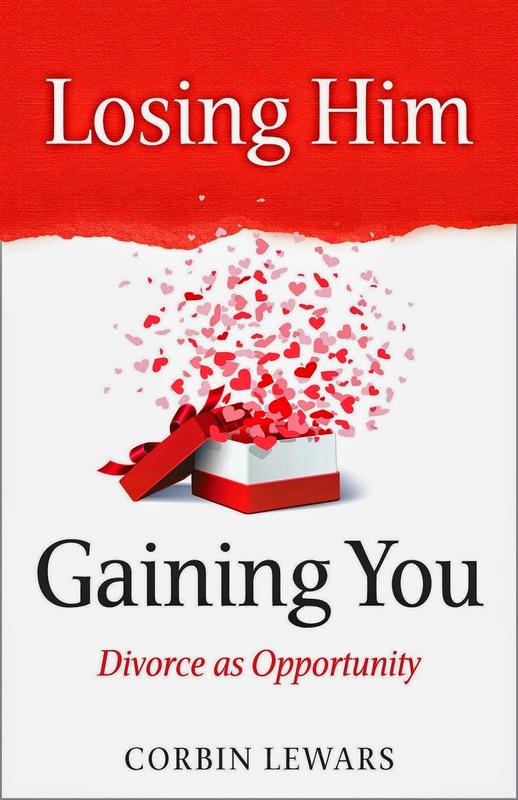 Description: Losing Him, Gaining You is a refreshingly honest and uplifting guide through divorce. Based on research and her own experience, Corbin Lewars coaches her readers through tough territory with a direct, straightforward step by step approach to divorce. With inspiration and a large dose of humor, Corbin offers a way forward that will help others trust themselves and make wise choices for their new life. If you're going through a divorce or have recently gone through a divorce and are looking for a book that encourages you to find your inner self, take yoga and "see the light," this book isn't for you. Not that author Corbin Lewars doesn't encourage the reader to find herself and do things to help yourself (which might be yoga) but she gives you a no-nonsense approach to getting through your divorce and starting your life up, better than ever. Losing Him Gaining You is a solid guidebook to cover every situation, both during and post-divorce and written by a woman whose parting while painful at times was not acrimonious. Ms. Lewars instructs the reader on how to maintain a civil relationship with your ex, how to break the news to your child(ren), how to enjoy that love affair with pound cake (or whatever dessert tickles your sweet tooth) and how to navigate those sometimes choppy waters of dating after being out of that pool for years. As someone who has gone through a separation and divorce over the last year, I found Ms. Lewars' book to be a helpful resource. It is a bit heavy in places and not something I could sit and read in one sitting but I finished the book feeling better about my place in life and with a renewed fervor for this new chapter in my life. If you are going through a divorce or know someone who is, Losing Him Gaining You is a good choice to assist you or your friend in getting through an emotional time and back on track. You painted your bedroom a luscious eggplant color. You’ve taken a good look at your finances and figured out how you can make it through the next few months or maybe even year. You’ve reached out to other divorced women. You’ve taken some time to be by yourself and cry, rage, mourn, and consider your part in the divorce. Now, it’s time to take a look at your body. That’s right lady, time to take it off. You’ve been looking at your emotional state, now it’s time to look at your physical state. I’m guessing I’m not the only one who’s had the occasional affair with a pound cake. There’s nothing wrong with that, I love a good treat. It’s only a problem if the chocolate bar became your way to cope, and way to not cope. When that happens, you’re no longer treating yourself, you’re ignoring reality. Speaking of ignoring things, when is the last time you looked at your naked body? If you can’t remember, we’re in trouble. When you took a gander, did you groan or smile? Or was it all a blur because you were running so fast to put on your natty old bathrobe? Don’t worry, I won’t make you get rid of said bathrobe, but I will encourage you to stop hiding behind it. Corbin Lewars is the author of Creating a Life: The Memoir of a Writer and Mom in The Making, which was nominated for the 2011 PNBA and Washington State Book Awards. 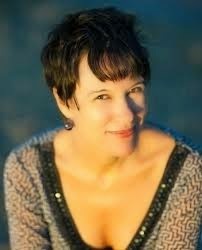 Her essays have been featured in over twenty-five publications as well as in several writing and parenting anthologies. For the past fifteen years she has worked with other writers as a development editor, coach and writing instructor. She lives in Seattle, Washington with her two children and very large cat. FTC Disclosure: Review copy of this book provided by CLP Blog Tours in exchange for a fair and honest review. In no way did the provision of this book affect the outcome of my review. Thanks for kicking off the tour!